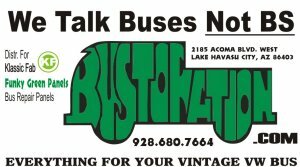 VW Bus Parts From Bustoration - Your Top Quality VW Bus Parts Center. Which rates are changing in January 1, 2018? FedEx International Premium® rates will change. Minimum rates for FedEx Express® services will change. FedEx Ground Multiweight® rates will change. FedEx SmartPost rates will change. FedEx One Rate pricing will increase by an average of 3.5%. BUSES BY THE BRIDGE XXII INFO. 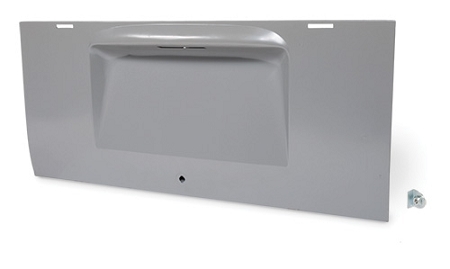 From metal rust repair panels to just about everything you need for your type 2 bus. YOU MUST OPEN AND INSPECT ALL PARTS WITHIN 72 HOURS OF RECEIPT. YOU MUST CALL: (928)680-7664 WITHIN 72 HOURS FOR PRIOR AUTHORIZATION TO RETURN ANY PARTS. THERE WILL BE NO RETURN AUTHORIZATIONS AFTER THE 72 HOUR INSPECTION PERIOD HAS EXPIRED. AUTHORIZED RETURNS MUST BE RECEIVED WITHIN 30 DAYS FOR A REFUND OR EXCHANGE. ALL RETURNED PARTS/ITEMS MUST BE RETURNED IN THE ORIGINAL UNDAMAGED BOX OR PACKAGING FOR A REFUND. MISSING PARTS: CHECK THE BOX AND ALL PACKING MATERIAL CLOSELY. SOMETIMES SMALL PARTS WILL GET LOST IN THE PACKING MATERIAL. WE TRY TO TAPE OR ATTACH ALL SMALL PARTS TO OTHER LARGER PARTS, OR INSIDE THE SHIPPING CARTON. PLEASE INSPECT BOTH TOP AND BOTTOM FLAPS. HAS THE BOX BEEN TAMPERED WITH OR DAMAGED IN A WAY THAT THE PARTS COULD HAVE FALLEN OUT? WAS THE ITEM ZEROED ON THE INVOICE OR CHECK THE “COMMENTS” SECTION TO SEE IF THE ITEM WAS NOT IN STOCK AT THE TIME YOU ORDERED IT.